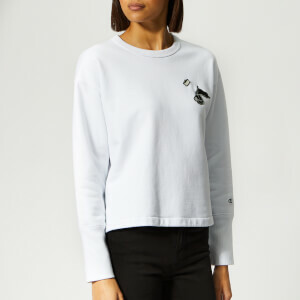 The See By Chloé frill top is made from pure white cotton and features elbow length sleeves with voluminous frill trims to form a striking focal point. The wide neckline is threaded with cotton ribbon to create a ruched effect and oversized tie detail at the shoulders. 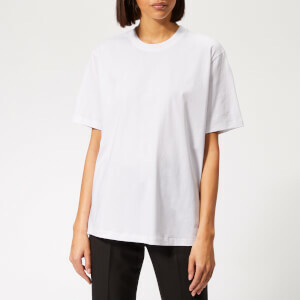 Cut with a relaxed fit, the white top is finished with a straight hem.